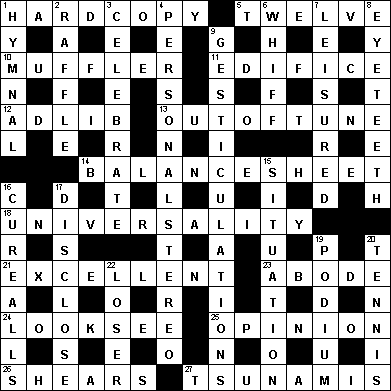 Nice puzzle, liked some clues more than the others (10,13,23 A and 4,5,16,20D). 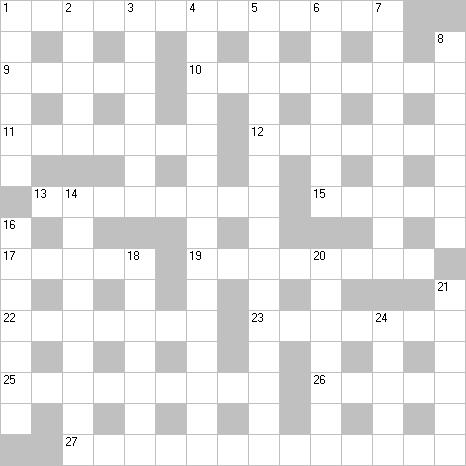 You might want to take a look at the 6D answer in the online solvable version. It kept telling me I got it wrong for the right answer as per your clue ! Thanks Bhavan 🙂 and yes 6 D is wrong in the online version. Criminal as anagrind, is a first for me! I too did not ctton on to the anno for 16D. Vinod & Tony congrats on winning the Scrabble tournament. Couldn’t solve 13A and 8D. 24D – confused Key West with the place in Florida. C’mon you guys, you need to give at least ONE loose/lousy clue so I can say “Very good clues!” and think I said something different 😛 You can’t consistently be so smooth, dammit! Great work as always. Keep them coming!